Please Note: While this guide is called How To Mix Rap Beats, it may also be useful if you produce R&B, hip hop, rock, or any other type of music. If you like this article, please share it using the above social links. 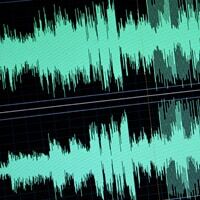 If you are new to producing music, you may not yet know how to effectively mix your rap beats down. There’s more to mixing down a track than just messing around with the faders and hoping that everything sounds good. A good mix can make your song sounds a lot more professional then it would have otherwise, and help it stand out from the crowd. Once you learn and understand the basics, you’ll be able to get a better mix down of your song every time. This guide is by John at beat makers online. If you can get your rapper sounding their best as well, you’ll make a great rap song. One of the first things you need to do is make sure that each instrument in your beat has a good balance. 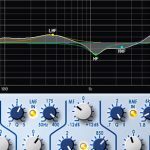 A common mistake beginners make when mixing is that they’ll allow one sound to overshadow the rest of the instruments in the track. You should aim to ensure none of the instruments or sounds you use can be heard a lot more than the others. If you hear one instrument more than the others, it’s up to you as the beat maker to find the right balance to make the song work. In most rap songs, the bass and percussion should be quite prominent while being complimented by other more subtle sounds. The vocals should also be the main focus of your mixing because you want to make sure you can hear all the words clearly. Panaroma is the placement of a sound element in the soundfield, and relates to how your sounds are panned across each speaker. When it comes to mixing, this is often one of the most overlooked elements. When you check the panorama you need to be listening to where each sound in the beat is coming from. You have to listen to whether or not your instruments or backing vocals are panning to the left or to the right. The idea behind panning is to create an excitement in the track by moving a certain instrument to one side. It’s also useful to useful for blending sounds that would’ve otherwise clashed with on another. Proper panning is essential in good mixing so you can create the best sound possible. When you are mixing your rap song, you should listen carefully to the frequency range being utilized. Try to listen for low, low-mid, high-mid and high frequencies to make sure that every frequency has the right amount of content. In order to properly examine the frequency range being used in a song, you need enough experience. This will come to you the more you practice. When you are mixing your rap song, you definitely need to get the dimension right. You will get better at finding the right dimension for your track the more you do it. Your job is to decide what instruments sound closer or farther away than others. Maybe you want the bass and kick to be upfront and you want the snares to be a little farther back. Getting the right dimension for each instrument is essential to your mixing. During the mixing stage, you need to think about dynamic changes like time signature, tempo, and key. You will have to listen carefully to the song and try to determine if the volume changes. If it does, you should take notes of the changes. Observing these dynamic change in the song means you can do things like match a hyped up chorus with a more mellow verses. You can also boost or dampen these natural changes as you see fit. Ok, so this is something that is more done during the production stage. As changes can also be made at the mixing stage however, I thought I’d add it here too. When mixing your song, you should learn how to create something in the mix that makes a certain part of the song more interesting. Try adding a tonality that is very iconic, or maybe make the hook a little more melodic. Each time you’re mixing, you should try to pay attention to what is holding your interest at each moment in the track. So there you have it, six things you need to focus on when mixing your rap song. As with anything, the more you practice at mixing down, the better you will become. Whether you’re happy mixing your own songs or you want to make it as a professional mixer, keep on practicing, and never stop the learning. John is a writer on music production, online beat makers, and music marketing. You can learn more about him over at http://yourbeatmakingsoftware.net/. If you found this guide useful, please share it via your favorite social networking sites. Thank you.